During the Techfest, we did a profound investigation concerning about genetic engineering and public perference between cell-containing diagnosis system and cell-free system.With the development of China, since reform and open, the past forty years has witnessed great improvement of people’s living standard. However,people’s knowledge and ideologies about genetic engineerng develops not as fast as the growth of economy. Therefore, we designed a detailed and comprehensive investigation about public perception about synthetic biology, genetic engineering and people’s perference between cell-containing diagnosis system and cell-free system. 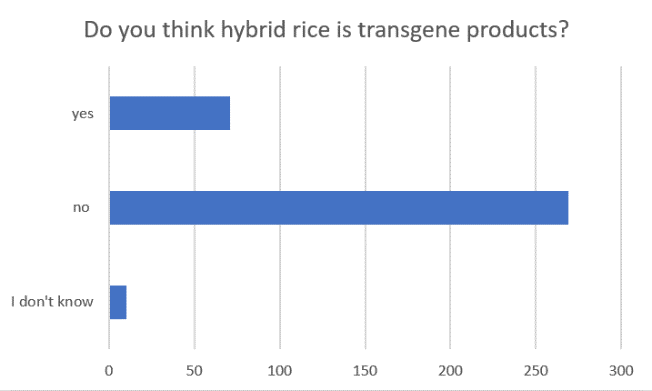 Surveys includes basic knowledge such as “Do you think hybrid rice is transgene plants?” and detailed questionnaire about “what’s your main worry about genetically-modified organism and biological products?”This questionnaire gives us some important considerations and adjustments to our project. 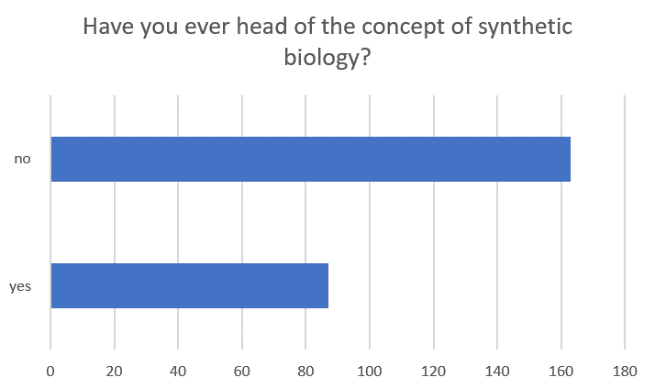 Questions about basic biological knowledge help us distinguish the target population possessing basic biological knowledge. 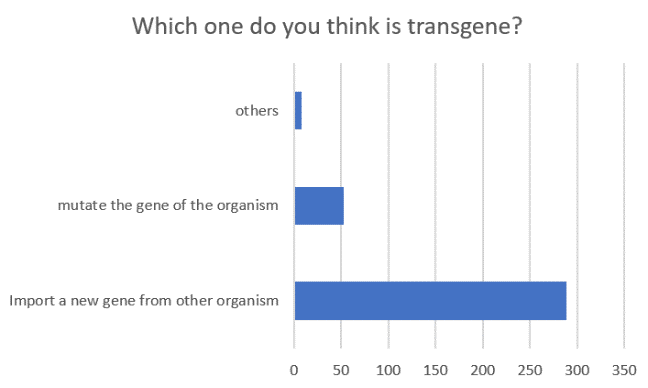 The high ratio of correct answer shows their knowledge is convenient for our investigation and their opinions are also relatively referable for us. And then we choose our target population to continue our questionnaires. The deficiency of concept about Synthetic Biology shows importance and necessity of the Techfest, one of our education and public engagement activities. Therefore, we followed up with a question concerns about the cell-containing system and the cell-free system. Confusions and worries are expressed through this question. 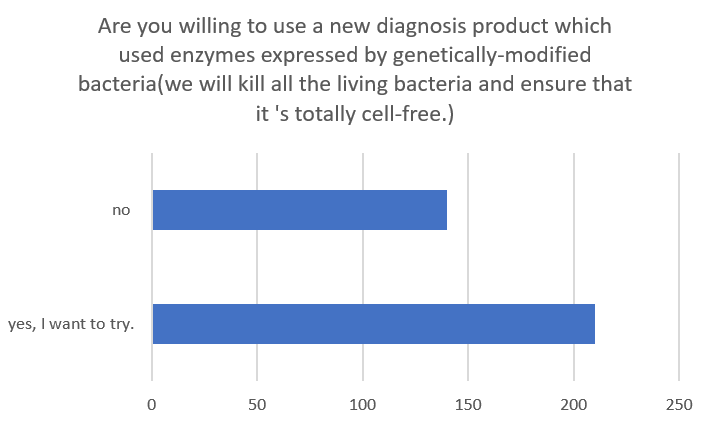 Here, we see the advantage of cell-free system when biological products meet the public concerns. 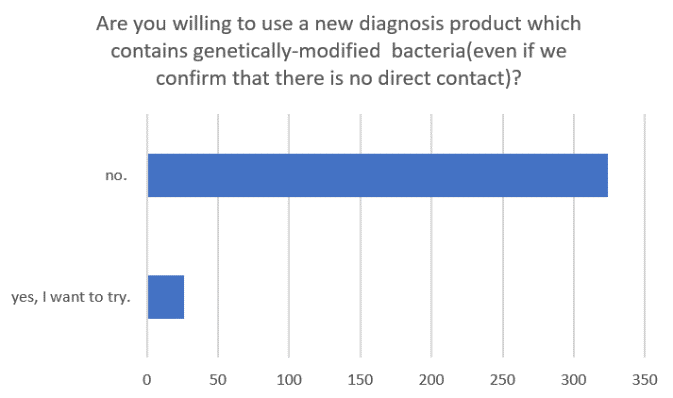 To confirm the result of our last question, we keep on asking the public for their preference of a new diagnostic device. So, here again, the advantage of the cell-free diagnostic device shows up. Hence, to get a more detailed feedback from this public engagement, we designed 3 more questions in order to understand what is the exact worrying for public. 1. Public concerns are in line with mainstream opinions in China which is very conservative. We realized it would be a wise choice for us to develop a cell-free diagnostic device. 2. There still exists concerns in our diagnostic device from the public perspective even though it is already cell-free. Then, the problem turns to a safety-related concern which requires us to ensure there exists no cell left on our device. Biosafety is essential for our products since we chose to develop an in-vitro medical device. 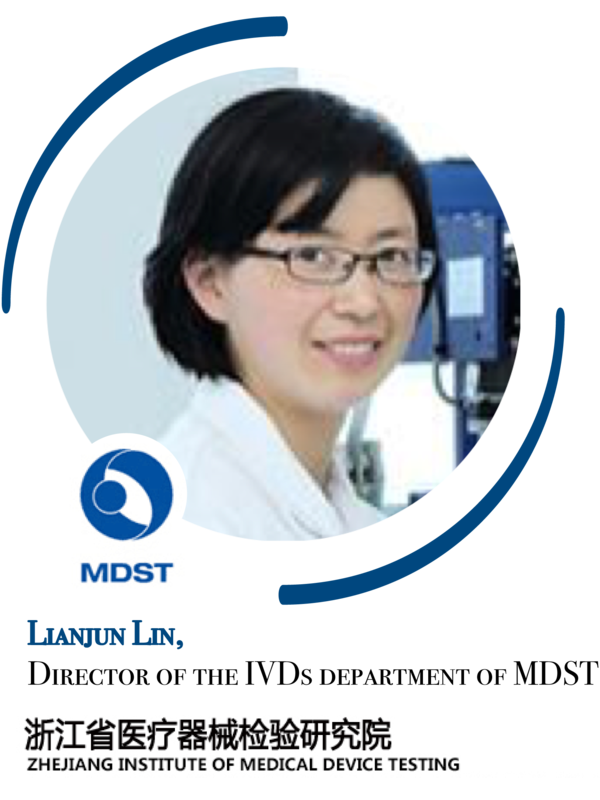 MDST (Zhejiang Institute of Medical Device Testing) is a Hangzhou center for medical device quality supervision and testing of China food and drug administration. We thought the suggestions from In-vitro Diagnostic Device Department (IVDs) of MDST would make a great difference to our final products. 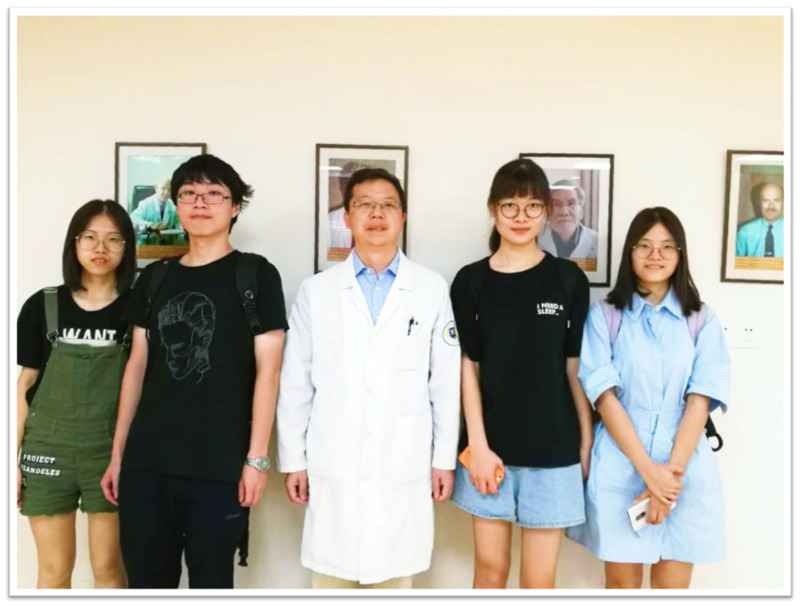 Hence, we went on a field visit to their lab and seized an opportunity to interview the director of the department, Lianjun Lin. We consulted her about A Detector. Q: How can we promise the safety of a medical diagnostic device from the very beginning? A: It’s hard to define the word “safety”, for it relates to many concepts. The first thing you should concern about is the national standard of in-vitro medical device, which represents the minimum safety requirement. I highly recommend that you focus on the basic safety requirements on cell-free biosensors. Q: How long can a medical device be released, and mass produced? How can we speed up the process? A: It depends. Usually, it takes 2-3 years for the products to be licensed for production, including the research period. However, it is for biotech companies, not a scientific research and innovation team like you. To practice your ideas, you are supposed to consider cooperating with related biotech companies, which is more realistic. Additionally, you should take intellectual property seriously while sharing ideas. A: For medical devices, ethics is as important as safety. Nowadays, the mode of Internet plus Hospital is increasing with the concern about the privacy leaks. So data security is alwaya a matter of great concern no matter how big the market you have. Q: What do you think of our product if it can work out? Can you describe the blueprint you imagine? A: I think what you’re doing is great since it reminds me of a different way to develop in-vitro diagnostic device. If you ask me the ideal IVD from my perspective, I would like to let everyone have their family physical examinations. I hope your design will give out a perfect solution! Come on! As an 8-year-old team, ZJU-iGEM absolutely won’t miss this biggest iGEM conference in China! This year, CCiC attracted more than 80 teams to share their projects and exchanged their valuable experiences. 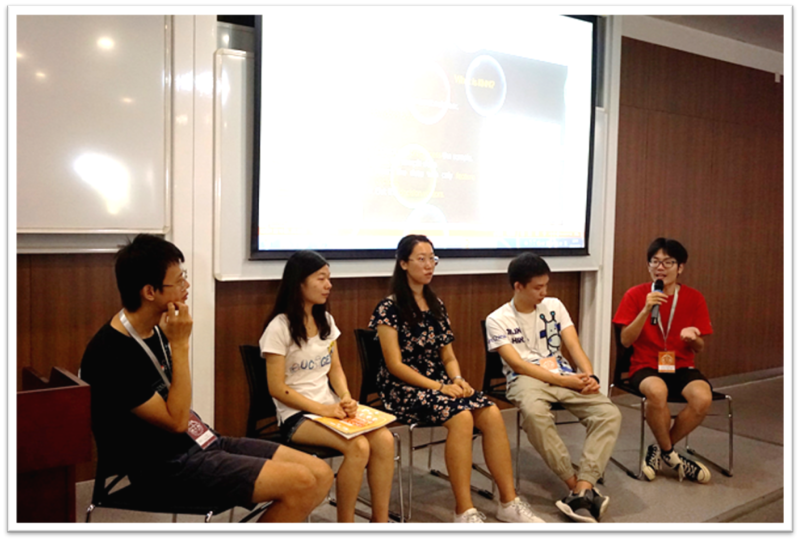 Also, we presented our project and drew much attention.Then,during panel session, Xuan Wang, an experienced iGEMer, post-doctor in Tsinghua University, told us that especially for the New Application Track, if we want to stand out, we must convince others by showing them a workable device. Since we were trying to construct a user-defined sensor, we considered to write a universal and detailed instruction which made it possible for everyone to construct his or her own sensor. This year, we found that there were 2 teams trying to construct cell-free systems. And we exchanged our experience and shared our ideas on how to make a more distinctive ‘cell-free’ system. 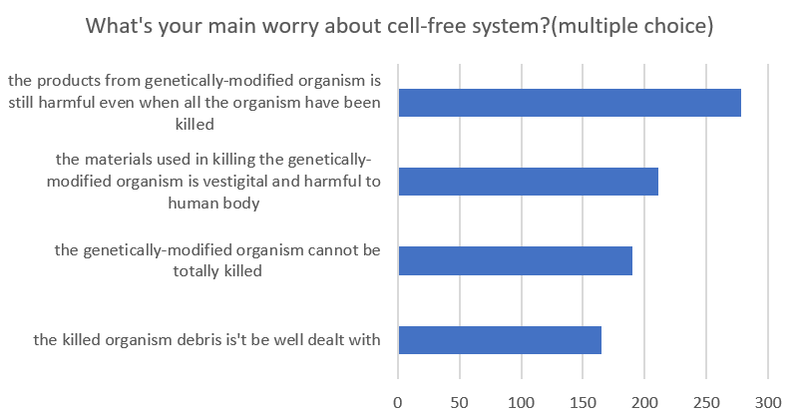 We all agreed that there is not a clear definition of cell-free. So, we further explored how to construct CFPS (cell-free protein synthesis) in a better way. What’s more, our inspirations burst out when we communicated with other iGEM teams. How to predict our protein docking model was one of the biggest barriers toward our project’s completion, but after talking to Peking-iGEM, we surmised that their theoretical modeling can help us out! We were also worried about lacking negative control in Curli-Fibers Expression. Fortunately, UTSC-iGEM gave us a suggestion that we can use Acetobacter xylinus to express Curli-Fibers without SpyTag so that we could set it as our negative control when demonstrating the specific binding for our reconstructed Curli-Fibers. In iGEM HQ face-to-face session, we sat around Mrs. Meagan and discussed how to make iGEM projects better and lead iGEM competition to a more influential competition. We shared ideas and suggestions with each other. Also, during this session, we understood the significance of after-iGEM, and we knew how to break down a complex project into parts and accomplish them one by one. In short, CCiC gave us a vast platform to communicate and explore ideas. Thanks, CCiC! To enable our curli fiber a better conductivity, we enhanced it with nanogold particles. But we were confused on how to confirm the best concentration and the best size of nanogold particles for our experiments. Fortunately, we got in touch with Professor Uartar. He suggested us using 5nm gold nanoparticles to decorate our electrode so that we can maximumly fill up the gaps between curli fibers. Our project aims to detect the current at the downstream of our enzymes’ reactions. But to our frustration, the current was so weak that we could not detect them in a convenient way. So we turned to Professor Chao Zhong for help. As he pointed out that it would be much better if we filled up with nanogold particles. He also offered us his E.coli strain (PIN4) whose endogenous CsgA was knocked off which helped us to acquire the purified curli fiber proteins. 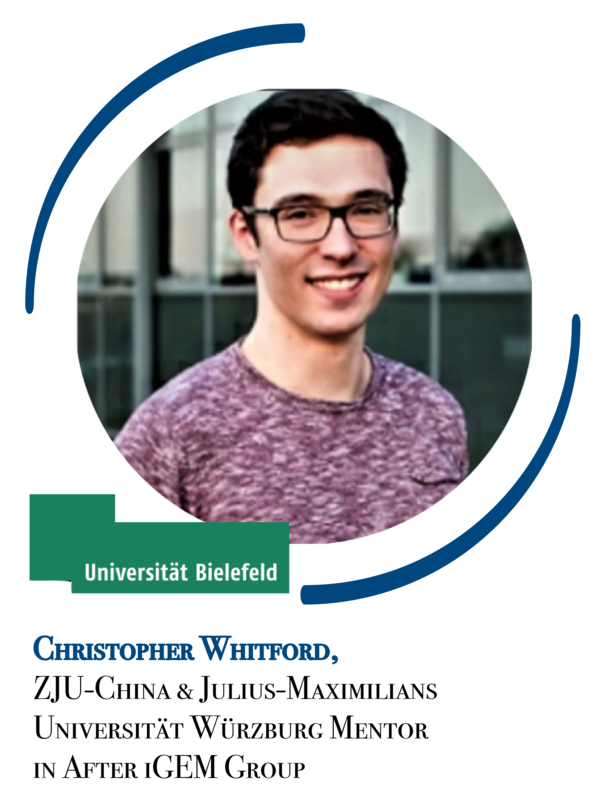 Mr. Chris and ZJU-iGEM were firstly connected by After iGEM. He is an experienced iGEMer. We had our first meetup in 8/8/2018, during which Mr. Chris pointed out that iGEM concerns not only the main body of your project but also the demonstration of the significance of your project. iGEMer should realize that it would never be useless to show your comprehensive considerations of your project’s Human Practice. In the second meetup, we were confused by how to ensure the biosafety of our cell-free biosensor. 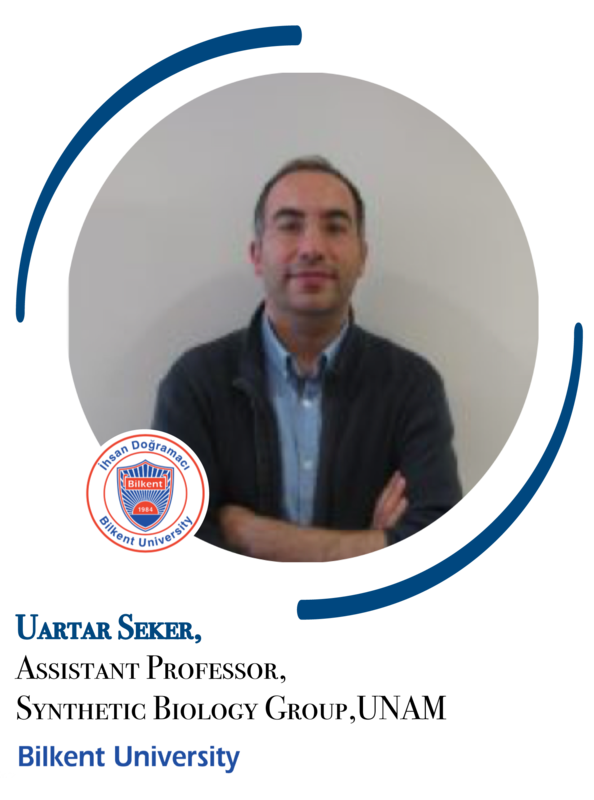 He provided us his recent paper talking about how to apply the biosecurity of iGEM projects which directed us in safety. The third meetup was mainly talking about the Human Practice Part of iGEM project. 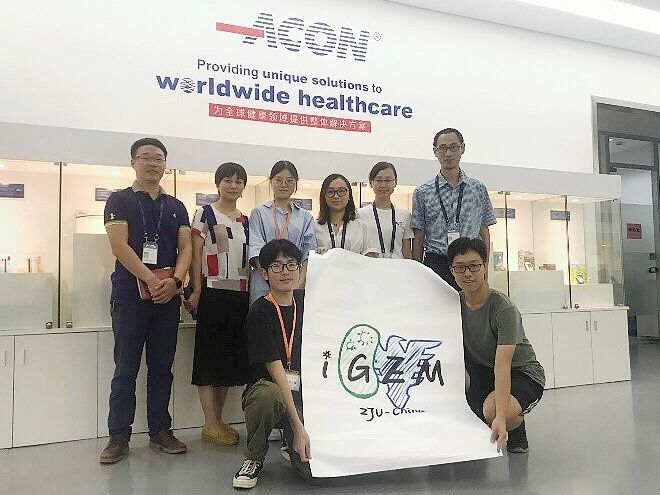 “The more Human Practice you applied, the more competitive your project will be.” Hence, we realized it would be a promising Human Practice activity for us to keep frequent communications with Acon-Biotech and have more cooperation with Sir Run Run Shaw Hospital. We sincerely thanks for his selfless denote! A field visit to in vitro diagnostic company, Acon biotech and a face-to-face talk with in vitro diagnosis industry veteran. To have a further understanding on in vitro diagnosis(IVD), we choose Acon-Biotech to perform our integrated human practice. Here, we got our main feedbacks and in turn, developed a mode of transformation of Scientific and Technological Achievements. ACON Biotech (Hangzhou) Co., Ltd. is a US living Chinese established foreign-owned biotechnology company, was founded in 1995, and is the one by China GMP, European CE, ISO13485 international certification creature diagnostics company. Covering in vitro diagnostic reagents, medical equipment, medical electronics three major industries, high-tech products and services to customer-centric, integrated biotechnology (BT) and electronic information technology (IT), ACON has developed a large amount of rapid, accurate and convenient clinical testing products to facilitate the diagnosis of disease, and provide users with more convenient and abundant bedside diagnostic products. Now the ACON is one of the National Torch Plan Key High-tech enterprises and member of Hangzhou enterprise technological innovation and development association. The research and development Manager, Mrs. Juan Cui, together with her colleagues had a table meeting with us. Actually, we didn’t aware where our cell-free biosensor’s advantage lies at the very first. But after a detailed discussion, they showed much more interests in our project. They pointed out that the most intricate problems in commercial IVD is the exorbitant cost, temporally and economically. 1. In their actual working process, firstly they have to test out the best enzymes matching ratios. As the enzymes are in a free state, the cluster reactions may not process easily and adequately, which makes this preliminary experiment much more complicated and highly-costed. This especially highlights the demand of our enzymes complex. 2. After getting the result of the best enzymes ratio, they will use a cluster of oxidase enzymes to detect the target substrates, and similar to the glucometer, the final result will be represented through the current transferred by the oxidase reaction. But the point is, this cluster of enzymes can only be single-used, which apparently, increase the cost of diagnosis. 1. It would be more efficiently to research how to find more in one detection. This is where our design originated – enzyme logical gates. Such gates can inform users of changes in multiple physiological indicators and make judgments about whether they are sick. By contrast, traditional detection methods require different sensors to detect different substances in sample, which requires a lot of precious time. We believe that the parallel processing capability of logic gates fits well with the high time requirements of Point of Care Testing, and it is expected to explore new possibilities in the field of first aid. 2. How to make our enzymes recycled? That’s a little bit hard but also a little excited to answer. The Curli Fiber, was first recognized as the invasion tool for bacteria, which firstly reconstructed by Harvard-iGEM 2014 as artificial biofilm, may help us out. This year, we use curli fibers with enhanced nanogold particles to covalently fix our enzyme complex on our electrode, which theoretically makes our electrode able to be recycle. And since it can be recycled, we can probably change the traditional detective methods or even lead a revolutionary among IVD. • Keep in touch and continue our cooperation! Above is the very first communication between ZJU-China and Acon-Biotech. Later, through frequent conversations, we even get more detailed information. We summarize these feedbacks into serval points of view and list the corresponded adjustments to our projects. Frequent communications with Mrs. Juan Cui made us realize that the time required for detection determines whether our products are practical. To develop our product and focus on the concrete perspectives, we mainly focus on the optimization of the product response time. Especially in first aid, a one-minute delay can lead to irreversible consequences. After many rounds of brainstorming, we realized that instead of sticking to shorten the time required for a single test, we can splice our enzymes complex in-vitro with the help of Spycatcher-Spytag systems (there are other 2 orthogonal catcher-tag systems). And theoretically, this enzyme complex system can shorten the distances between each enzyme, which means this form of enzyme complex can couple cluster of enzymes’ reactions. This enzyme complex is relatively stable so that it can be applied on in vitro diagnosis. We are not content to rest on the results of the iGEM competition. We want more. Here, we summarized a developed and suitable mode for iGEM teams to build a strong connection with companies. Additionally, we are attending to transformation our project into practice and registered the part of “After iGEM”. See our S&T achievement transformation report： A Developing mode of Scientific and Technological Achievements Transformation accotding to the cooperation of ZJU-iGEM and Acon-Biotech. Making something that can quickly detect indicators had always been our direction. Since it is characterized by rapid detection which we are going to utilize and find a suitable situation for, we turned to hospitals-first aid needs quick response! We went to SIR RUN RUN SHAW HOSPITAL, the third affiliated hospital of Zhejiang University for valued opinions of clinicians. It is widely acknowledged that General Surgery is well-informed involved in emergency departments and a great many consultations, so we contacted the director of General Surgery who had extensive experience in this field. After learning our appeals, the director recommended several suitable applications for A Detector: poisoning, flu, myocardial infarction and first-aid. Symptoms of the diseases above are all not visible but requires urgent detection. Through WeChat and offline meetings, we discussed the feasibility of each proposal with him. First, poisoning is relatively unpopular, and the poisons are diverse, which puts higher demands on high specificity and sensitivity of the approach to detect. The cost of translating research results into clinical practice is also relatively high and requires substantial funding support. Actually, we are interested in studying flu because there are always countless people suffering in the spring and autumn in Hangzhou. If it can be detected by portable chips, it will achieve effective early-prevention, reduce infection and benefit the society, especially the elderly and children. However, God did not grant what one prayed for sometimes. Our campus lacked a corresponding laboratory with negative pressure to study virus and the headquarters of iGEM had strict restrictions on safety as well. Therefore, we used to struggle between myocardial infarction and first-aid. If the time window of myocardial infarction is not caught, the patient would pay the price of disability and even death. So is first aid. Meanwhile, both the myocardial infarction and emergency biochemistry are also complicated and have urgent need for rapid detection. Whereas, as for which indicators are most suitable for our project, the director of General Surgery said that he could not give authoritative advice, for the director of Clinical Laboratory is the expert who he suggested we should go to. Clinical Laboratory of SIR RUN RUN SHAW HOSPITAL has played an irreplaceable role in providing advice to clarify potential indicators. Although there were some indicators to choose, from our perspectives, we would like to do some general but practical work, the framework of which could provide reference for disease diagnosis and later research. After understanding our vision, he explained the basic items of CX7+ in detail and thought we could deal with basic indicators first within the scope of our current capabilities. Eventually, after several discussions late at night, we decided to use glucose, lactic acid and lactate dehydrogenase as signal inputs of detection. During this process of project design, the directors highly appreciated our rigorous scientific attitude and had great expectations for A Detector. The dry lab selected the classical clustering algorithm KNN in machine learning to help us classify samples as pathology or normal. The core assumption of KNN algorithm is that if the majority of the k most neighboring samples in a feature space belong to a certain category, the sample also belongs to this category. We imminently need hundreds of patient data and controls to implement this model and then we turned to the director of Clinical Laboratory in SIR RUN RUN SHAW HOSPITAL again. He generously offered clinical data for modeling and blood samples for further product testing! Here is the cooperation agreement signed by Clinical Laboratory of SIR RUN RUN SHAW HOSPITAL and ZJU-China. It said during iGEM Competition Clinical Laboratory would provide a certain amount of blood samples and related data to ZJU-China and were also responsible for safety training before clinical experiments. Accordingly, ZJU-China should protect the information of the data and the privacy of samples from infringement. All the materials obtained from Clinical Laboratory is for scientific research purposes only(see scanned certificate document here). It was a bright sunny morning, but we had to come to hospital for data. We worked on the hospital’s internal data system from 9 a.m. to 7 p.m. and collected the data of more than 600 patients and controls after 2 days’ work. The results of modeling indicate that the clustering model performed well within the scope of our acceptance when applied to unknown samples, which drives the progress of A Detector and makes the diagnosis more credible. Here are results of modeling. Moreover, in our communication with other teams online, we found that the acquisition of data is pretty difficult, especially hundreds of large volume data, so we are pretty grateful to Clinical Laboratory of SIR RUN RUN SHAW HOSPITAL for the selfless help. In October, after rounds of testing using simulated samples in the laboratory of Zhejiang University, we took the products to SIR RUN RUN SHAW HOSPITAL for real sample testing. 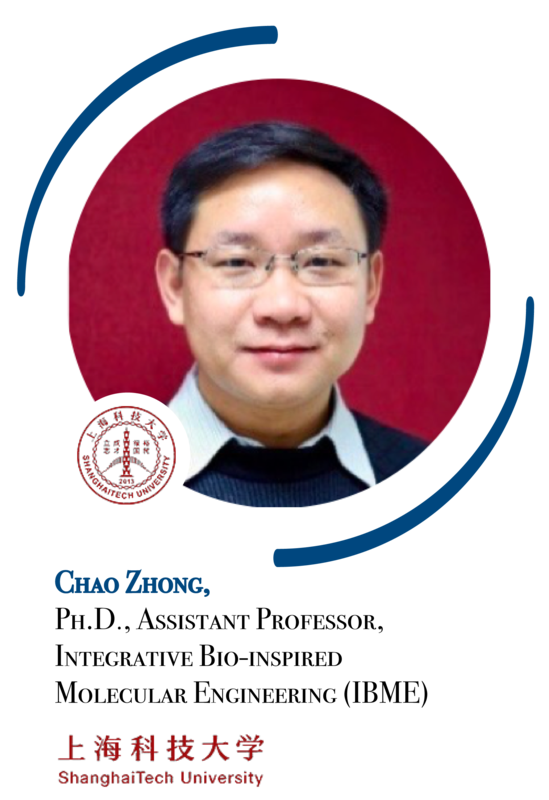 It is also approved by the experimental center of Zhejiang University(see scanned certificate document here). At the very beginning, Doctor Jin of Clinical Laboratory gave us a comprehensive training on how to use a blood sample in a standardized manner. We were supposed to wash our hands in six steps, then wear overalls, disposable medical masks and gloves. 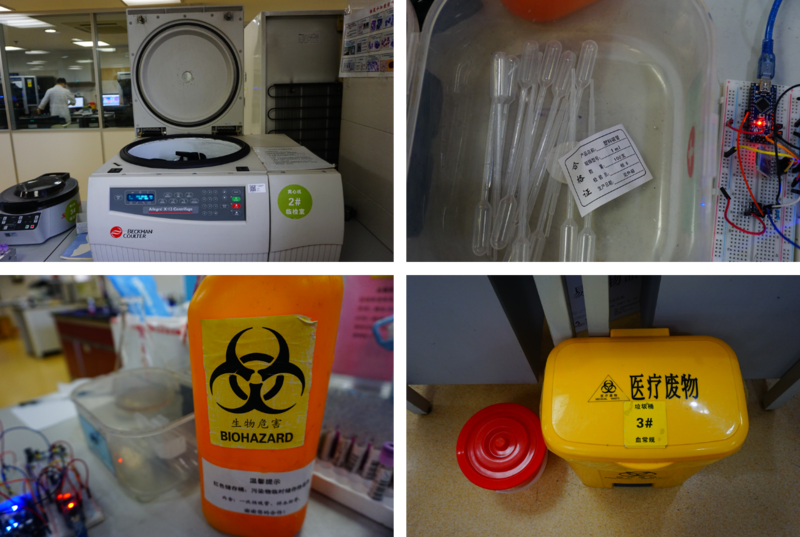 In October, after rounds of testing using simulated samples in the laboratory of Zhejiang University, we took the products to SIR RUN RUN SHAW HOSPITAL for real sample testing. It is also approved by the experimental center of Zhejiang University. We were designated to use the blood samples in blood collection tubes with a purple test tube cap. Doctor Jin introduced that the blood collection tubes contain EDTA-K2 anticoagulant, which is usually sprayed, so that the anticoagulant is evenly distributed on the wall of the tube, and the specimen is prepared for whole blood, which is generally suitable for routine hematological examination. 1. Put a blood collection tube into the Allegra X-12 Centrifuge series of universal desktop centrifuge, centrifuge at 3000 RPM for 5min, the supernatant is the serum needed. 2. Unplug the purple test tube cap and use a disposable dropper to draw a certain amount of supernatant (serum) from the tube to the surface of the modified interdigital electrodes. 3. Immediately cover the purple test tube cap. 4. Throw the used disposable dropper into the waste bin specially for biohazard. When we have completed the preparation and protection, the following is the specific compliance protocol (under the guidance of Doctor. Jin). 5. Collect the electrode-washed liquid containing serum to the waste bin specially for liquid biohazard. Under the supervision of Doctor Jin, we performed several repeated exercises using real blood samples and then started independent experiments on the prototype of A Detector. The whole process of product testing was full of twists and turns, but we eventually got experimental data of applied design! Here is our demonstrate, product design and the video. Generally, we learned the importance and influence of A Detector to the world in the following aspects through communication with clinicians. If A Detector can be popularized, the physiological indicators of the patient can be measured in time and avoid missing treatment time window. Thus, the survival of critically ill patients will increase to some extent. Since A Detector can be considered as a platform and the demands of hospitals are diverse, various customized detectors will be born. For long-term goals, if A Detector are intended to be used in public, it will face more stringent requirements in more aspects. Meanwhile, as we concerned about the practical application for A Detector, we consider this human practice a precious chance to have a further understanding from the perspectives of biosecurity and ethics that related to patents’ using experience. And this definitely extends our works in the transformation of scientific and technological achievements. There is no denying that A Detector still have a long way to go!